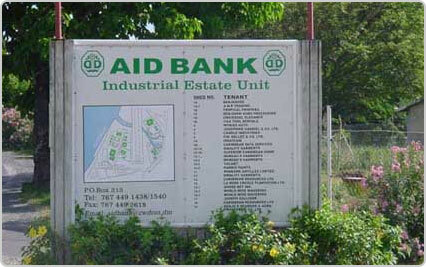 The AID Bank manages lands and buildings at four Industrial Estates in Canefield, Geneva, Picard and Hertford, Jimmit. The Estates collectively comprise 20 buildings with one each in Geneva and Picard and 18 in Canefield. These buildings have a total floor space of 147,000 sq. ft. and are divided into 36 units, ranging from 780 sq. ft. to 21,000 sq. ft. in size. Twenty-four tenants (24) currently rent thirty-three of the units, with some occupying more than one. 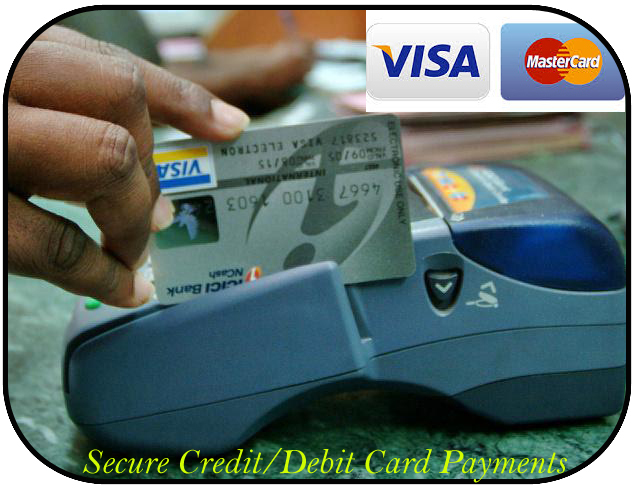 The Industrial Estates are managed by the Industrial Estate Unit (IEU) which is separate from the core lending functions of the Bank. The IEU supports the Bank’s overall objectives of promoting and influencing economic development, by providing a platform for expansion of the economy through the provision of affordable space for investors engaged in manufacturing, warehousing, business process outsourcing (such as call centres) and other service industries. Currently at the Industrial Estate, 977 persons are employed. The Canefield Industrial Estate continues to be home to one of the largest employers on island, the Clear Harbor Call Centre, which has a total staff complement of 800.